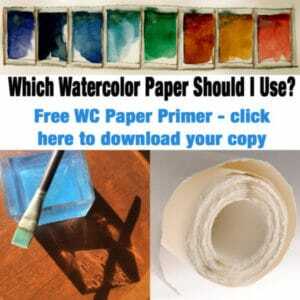 Do you enjoy sketching and doodling faces in watercolor? I know some of you do, since I follow your blogs and the work you post on social media. I was talking to another artist friend about the pleasure, and the power of doodling the human form – both faces and the figure – as well as isolated facial features. We can all use a bit more practice in this area, right? Have you ever filled a sketchpad page with little thumbnails of facial features, expressions, or angles of the head? Want to give it a try? Oh good. I knew you’d be game for a little anatomical stretching in your sketchbook! You probably don’t have to search far for painting fodder for this project, since you likely have a cell phone with photos of family and friends, or selfies. 🙂 Family photo albums are also a great head-study resource, since you’re intimately familiar with the bone structure and carriage of the folks in those images. Barring that, you can flip through a magazine or newspaper – in your hands, or online – to find a pile of interesting faces to sketch. Speaking of using other people’s photos from magazines and newspapers in your work… while that is definitely off limits if you plan to show and or sell your artwork (its okay for practice), there are now exceptions. Do you know about Public Domain Day? On January 1st of this year, thousands of copyrighted works entered the public domain for the first time in two decades. Artwork, books, films, poems, and plays can be re-published – by you – in new forms, or chopped up and re-mixed with other public domain works to concoct wholly new creations. How’s that for a creative resource rabbit-hole? Along those lines, here is a list of 800 free ebooks to download. Want to listen instead of reading? Here are 900 free audiobooks. And here is a list of over 200 films in the public domain. Creative fodder, anyone? Painting little faces, based on photos of friends and family close by, and far away, past and present. Working small is faster, and can lead to more frequent “finishing” your art, which helps if you need a sense of accomplishment to keep going forward. There’s a whole world of online watercolor portrait painting classes out there for the taking. You can paint along with the class curriculum in your jammies if you want. Check out these selections on Bluprint (formerly Craftsy) of online courses in their painting category. The courses categorized as ‘Startup’ are great if you’re a beginner, and once you’ve chosen a class, you can return to it again and again to absorb the material at your own pace. There is also a search filter on the page, so you can look at only classes in watercolor, or just classes in mixed media, etc. Make a stack of little watercolor paper squares from all the various watercolor papers you’ve collected, and label the back so you’ll know which paper you’re playing with in your stash as you experiment with watercolor portraits. Twelve thumbnails, from 15 years ago; cartoon face and figure doodles on a watercolor sketchbook page as art practice and playtime combined. So, how about it? Are you up for a little bit of facial sketching and head study experiments this month? If you’ve got drawings and paintings to share, add a link to your work in the comments. Remember to call these little faces experiments, so you don’t pressure yourself to create thumbnails of mini masterpieces. These should be doodles, cartoons, and very loose studies. No judging the final results. Do it for the process. Here’s to a full season of stretching past our comfort zones, and growing as artists. Have courage! P.S. You can subscribe to get each new post as soon as it’s published by signing up here. P.P.S. I’m working on a new video series to help get your art-making digital life organized – from helpful bookmarks to the hierarchy of folders to keep your art-pursuits sorted on your hard drive. Sign up at BelindaTips (it’s free) to get notified when the tutorials are published. Great people do things before they’re ready. They do things before they know they can do it. Doing what you’re afraid of, getting out of your comfort zone, taking risks like that – that’s what life is. You might be really good. You might find out something about yourself that’s really special and if you’re not good, who cares? You tried something. Now you know something about yourself. 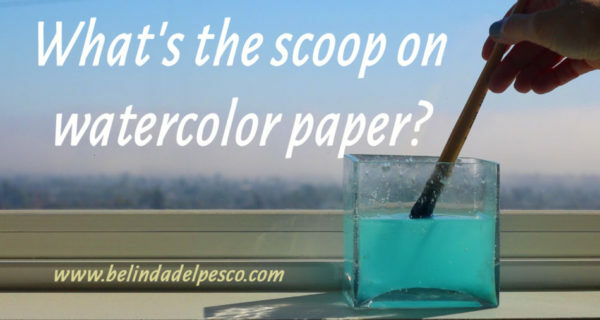 Need a few tips to get back to your art supplies? Here’s a free online course to get you started. Click the kitty to visit Six Tips to Paint More Often. Hi Sonia! Yayyy, some mini portraits! They are lovely! Thank you Belinda! A beautiful and inspiring post — again!!! I like ALL the portraits you show here, wow that is a lot of art work! Especially love your self portrait w cat, and the adorable spread of 12 at the end :). The lists of free ebooks is incredible — thank you for letting us know. (I took a peak in there and will have to set a timer to do some further exploring or I may not be heard from again til 2020). Will try some quick small portraits thanks to your great encouragement. Yours in paint, L.
Good morning Lenore! I’m glad you liked the post, and on those free ebook – I know! Crazy, eh? What fun! I feel the same on the audiobooks, and I wonder – since they are free, who were the readers of the books for the audio recordings, and did they know their recordings would be set out for all the world to enjoy, gratis? Narrating a great book, and giving appropriate voice, inflection and tone to each character must be a herculean feat! Some are better than others, but when done well, wow! Happy reading and painting to you! XO, B.